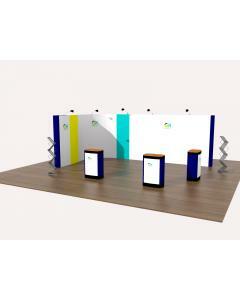 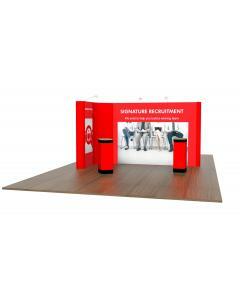 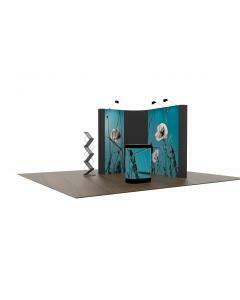 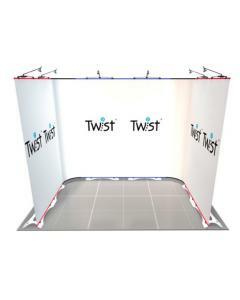 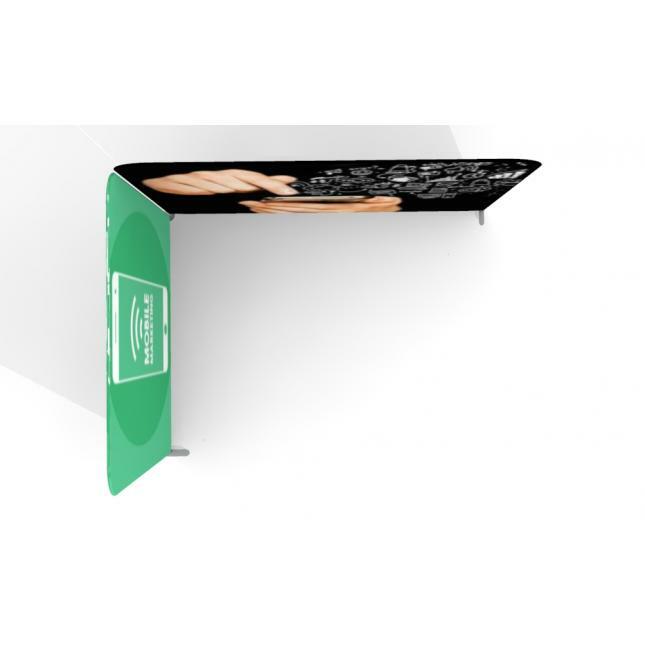 This configuration gives you a 3m x 4m L shaped stand with two open sides. 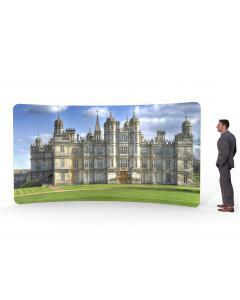 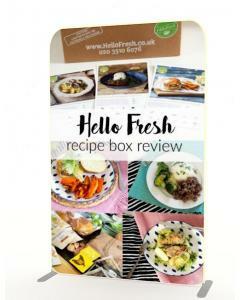 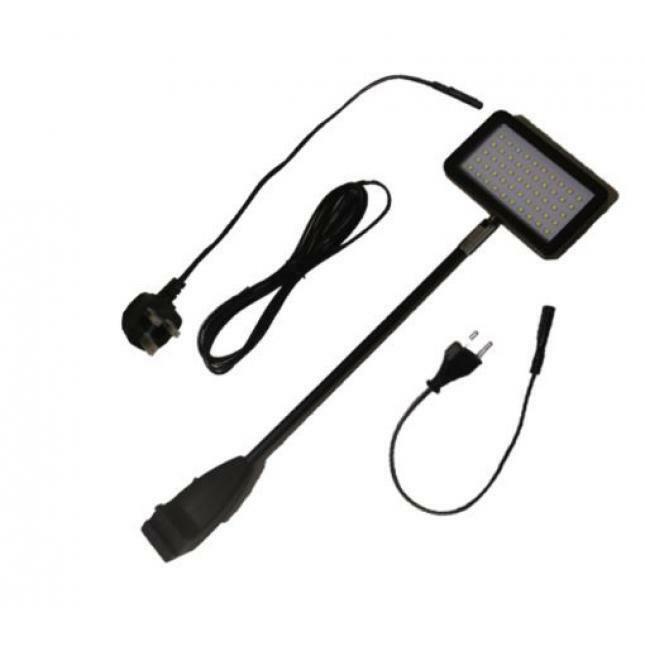 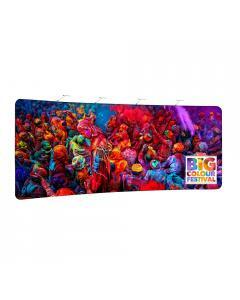 Popular for exhibitions and events as well as for shopping outlets and galleries. 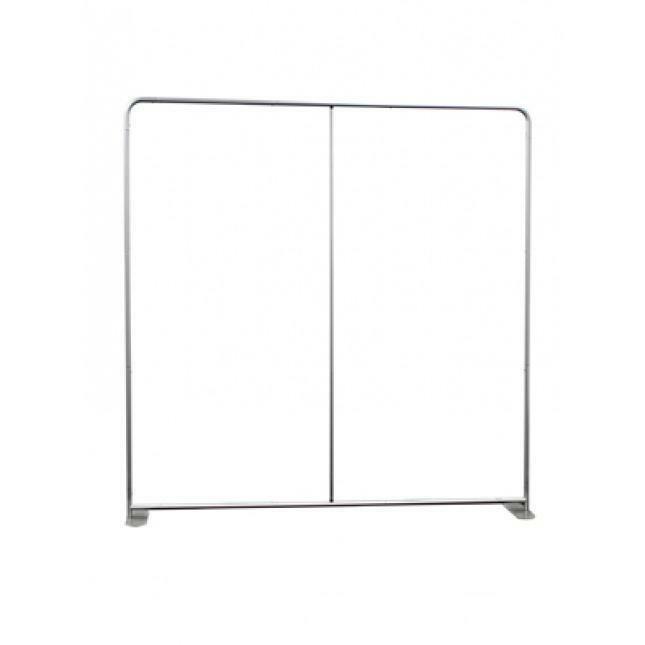 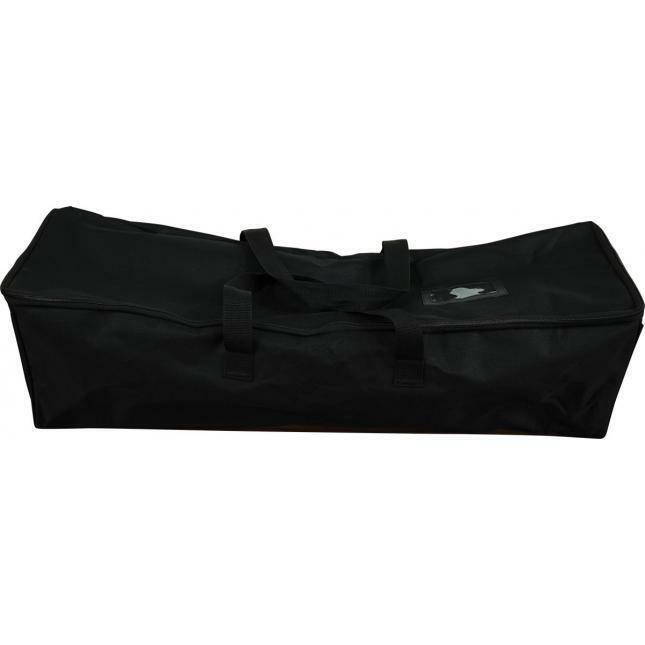 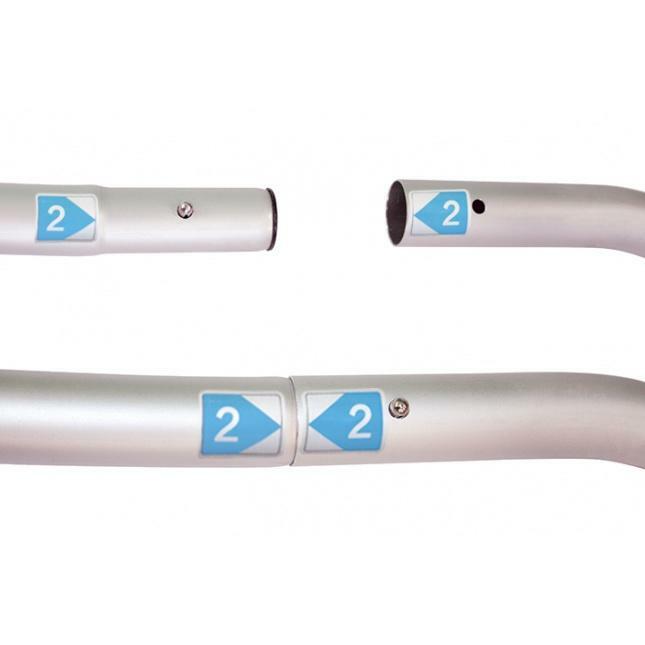 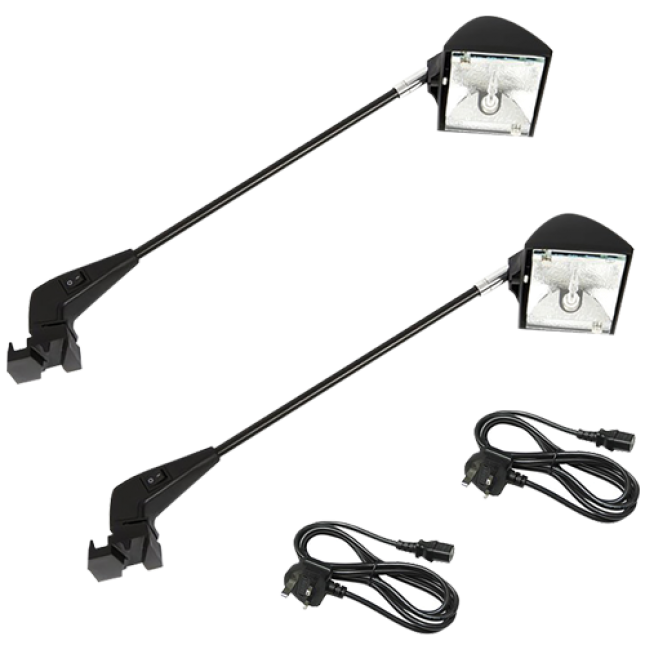 We supply the two individual straight frames with two rectangular feet each, allowing you to use each frame on its own for smaller events. 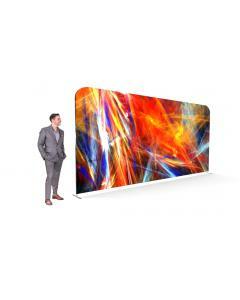 Dimensions: Both walls measures 2970mm (w) x 2260mm (h). 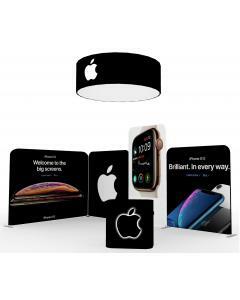 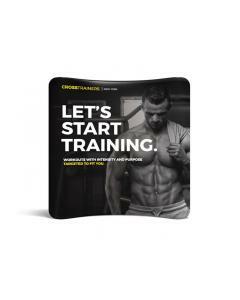 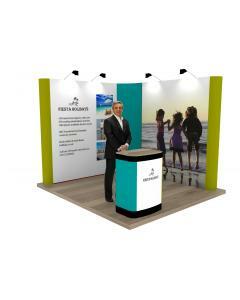 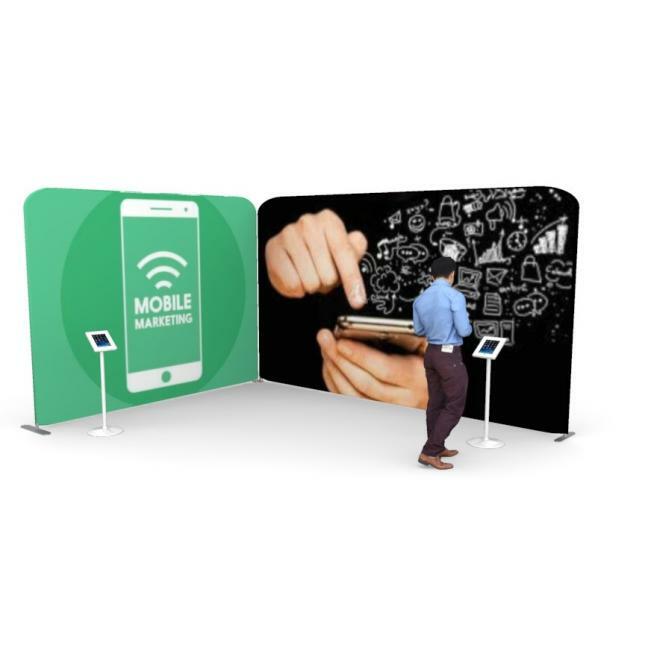 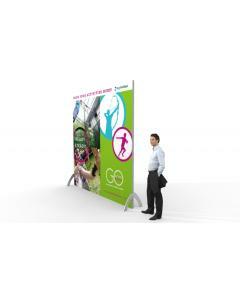 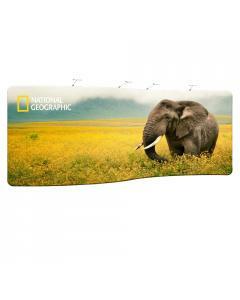 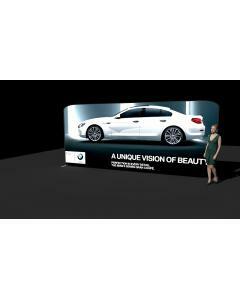 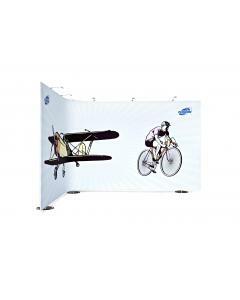 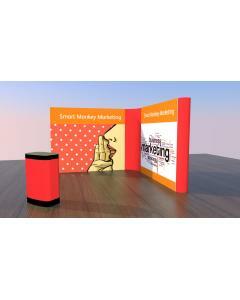 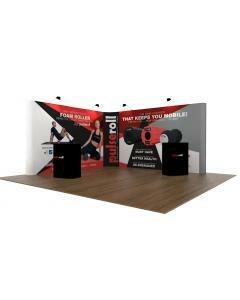 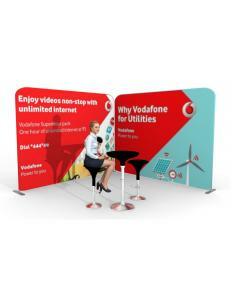 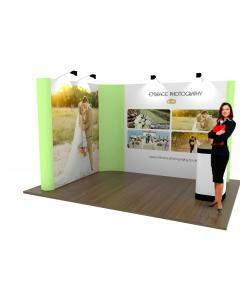 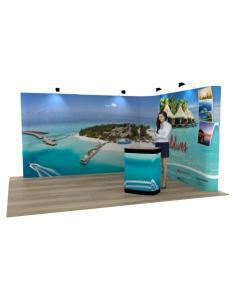 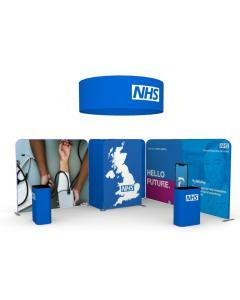 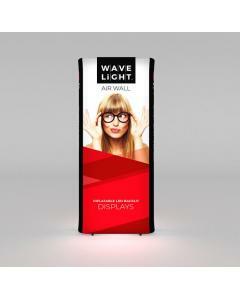 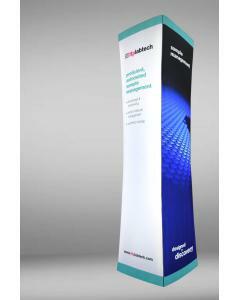 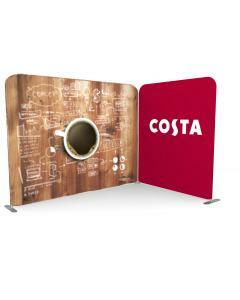 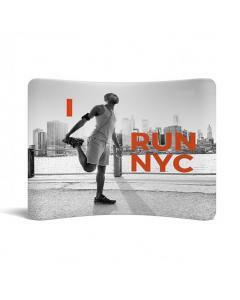 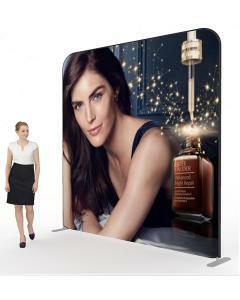 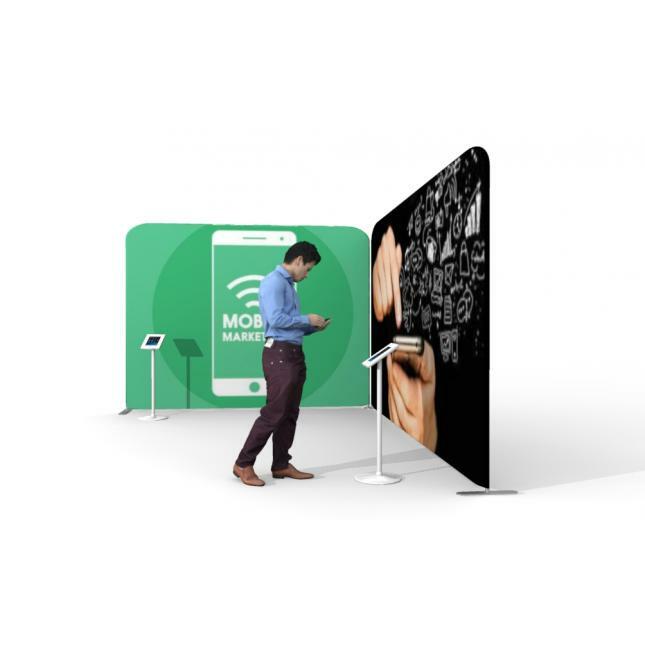 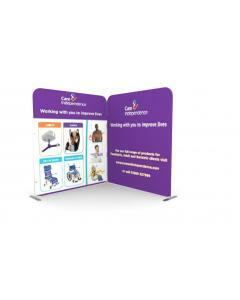 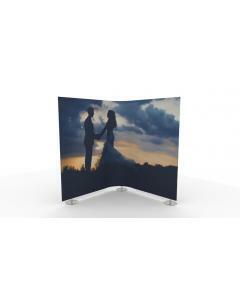 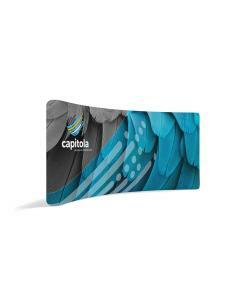 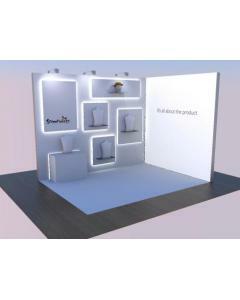 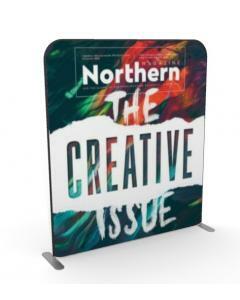 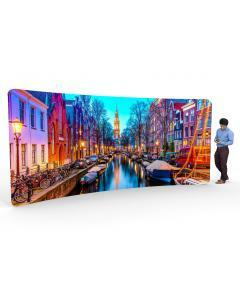 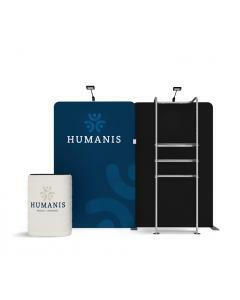 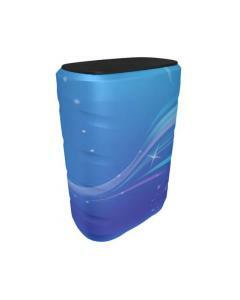 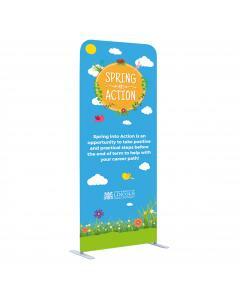 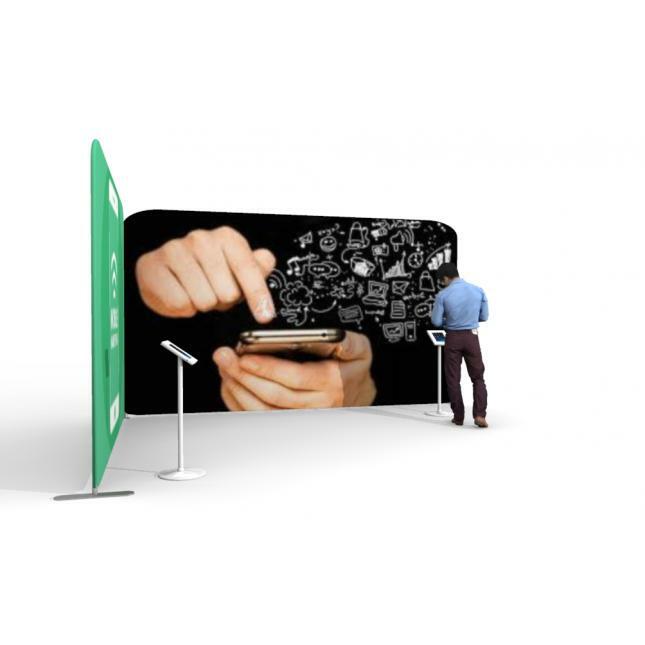 Why choose the 3m x 4m Fabric Display Stand? 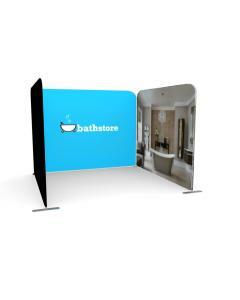 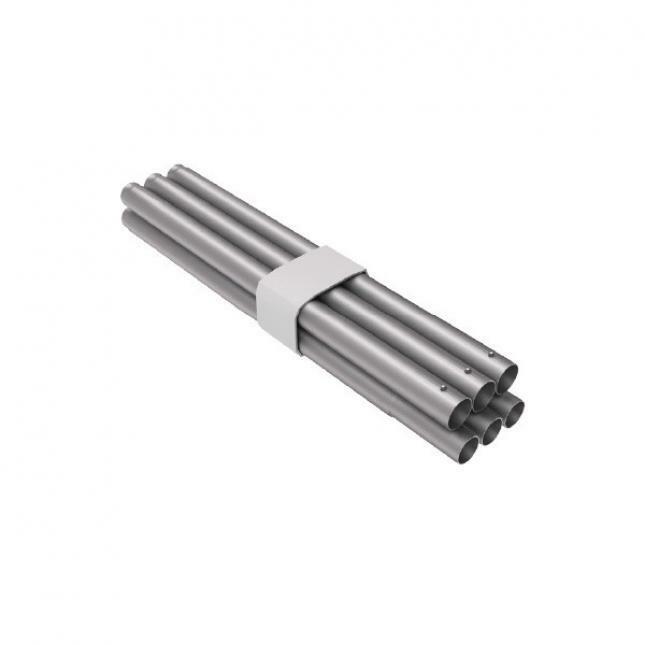 Dimensions: Two walls measuring 2970mm (w) x 2260mm (h). 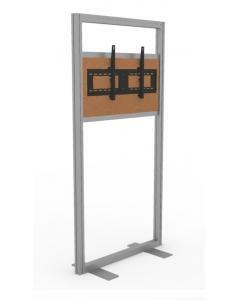 Framework for one 3m wide walls and one 4m wide wall.